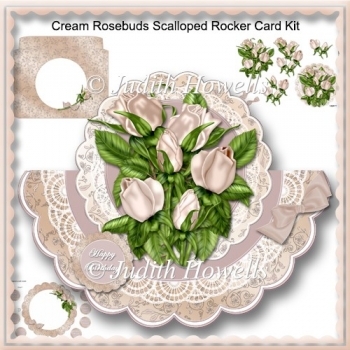 A lovely bouquet of roses on a lace doily and floral satin background on a scalloped rocker style card with bow embellishment. 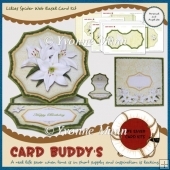 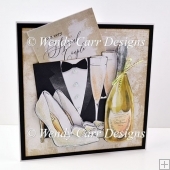 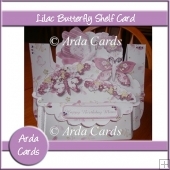 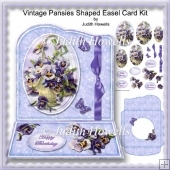 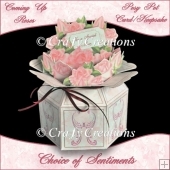 Decoupage pieces, envelope, insert and optional greeting plates for HAPPY BIRTHDAY, HAPPY ANNIVERSARY, GET WELL SOON, MOTHER, ON YOUR RETIREMENT, ON YOUR WEDDING DAY, THANK YOU and BLANK are also included. 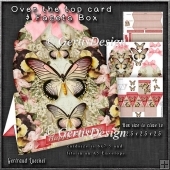 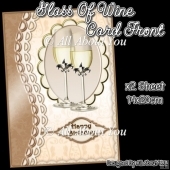 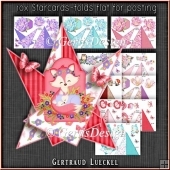 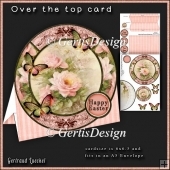 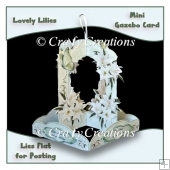 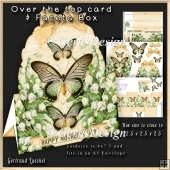 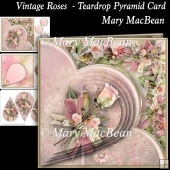 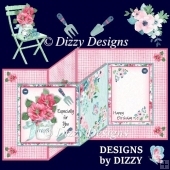 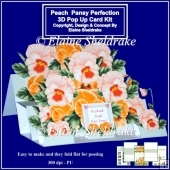 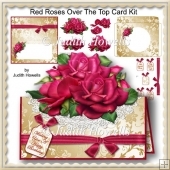 There are 5 sheets in the kit: 1 Main Card Base, 1 Topper and Decoupage sheet, 1 Insert and greetings sheet, 1 Envelope Front and 1 Envelope Back.